This year we have a variety of ages and stages in our home: preschool, 2nd grade, 4th grade, 6th grade, and 9th grade. I so much wanted us all to be on the same page for history. So, I turned to Simply Charlotte Mason. Sonya Shafer encourages teaching different ages together, and I like that. For History, Geography, and Bible, we will be using Simply Charlotte Mason’s Early Modern & Epistles Family Study Handbook. We’ll be keeping up with a Book of Centuries (printed for free here), and using these timeline figures. 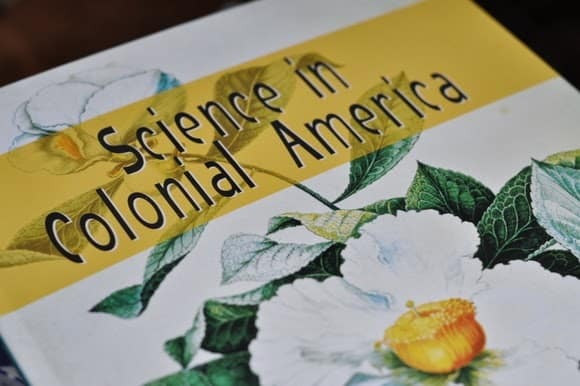 For Science, we’ll be using Science in Colonial America and Apologia’s Exploring Creation with Botany. My older daughter is using Exploring Creation with General Science. She started it a couple of months ago, and she’s enjoying and learning a lot from it. Math: Teaching Textbooks for the older three, and various hands-on resources for my 2nd grader (Inchimals, Flip-Over Math, worksheets, etc.). I’m considering adding Life of Fred for everyone, too, but haven’t decided on that yet. Handwriting: Delightful Handwriting, Print to Cursive Proverbs, and A Reason for Handwriting. Grammar: My oldest daughter is continuing with an Abeka Language Arts book (her choice! ), and the younger ones will be doing Queen Homeschool’s Language Lessons. Scripture Memory: We’ll continue on with SCM’s plan, which I think is one of the most effective I’ve ever seen. Bible/Copywork: My older daughters are using a Journible to write their own copy of the book of Proverbs. Spelling: SCM’s Spelling Wisdom for my two middle children. My older daughter is a natural speller and doesn’t seem to need more formal practice, and my younger two aren’t quite ready for that subject yet. Nature Study: In addition to our formal science books above, I also hope to focus more on nature study, and keep up with our nature journals. 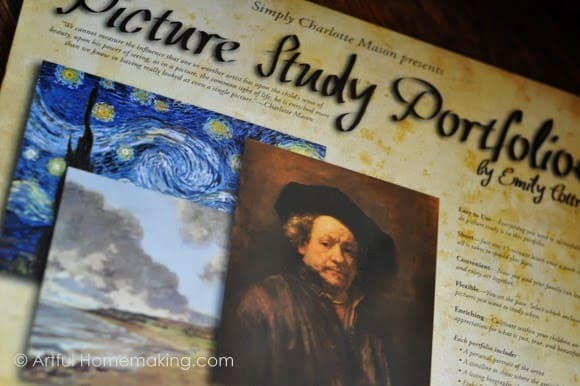 Art and Hymn Study: As Charlotte Mason recommends, we’ll be focusing on some specific hymns to learn during the year, in addition to the hymn singing we do during family worship. We’re using various Dover postcards for art study, as well as a couple of Simply Charlotte Mason’s Picture Study Portfolios. For actual art instruction, I usually come up with my own ideas from various places online, but especially Deep Space Sparkle. We’re also using these chalk pastel lessons. 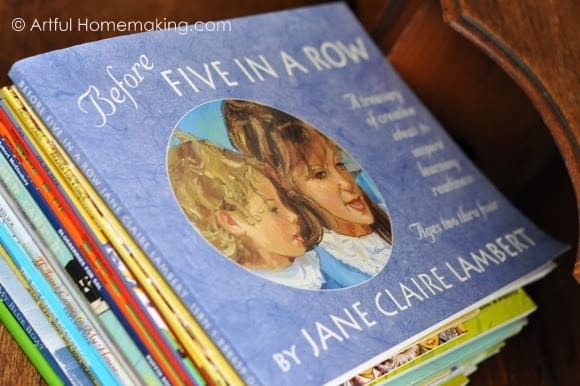 Preschool: Before Five in a Row I first heard of Before Five in a Row twelve years ago at my first homeschool convention. I immediately fell in love with it, and used it with my daughter, who is now fourteen years old! And I’m now returning to it with my fifth child, who just turned four. We actually started this already, and we’re having so much fun with it! My youngest begs me each day, “Can we please do my school?” I’ll be sharing more about Before Five in a Row as we go along. 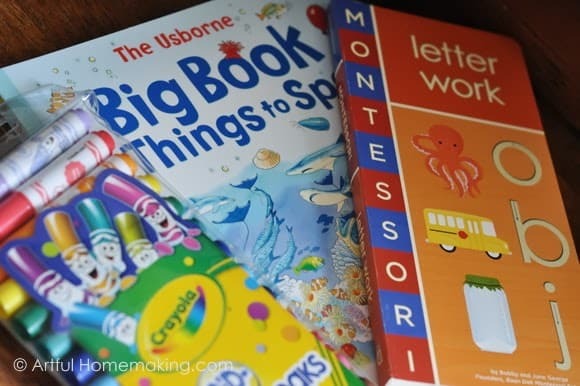 We’re also embarking on a fun introduction of letters and simple counting, using this Big Book of Things to Spot and Montessori Letter Work (he loves both of these books, too!). We’ve also been using these Plan Toys Preschool Alphabet Cards and Letters, and these Uppercase and Lowercase Tactile Letters. 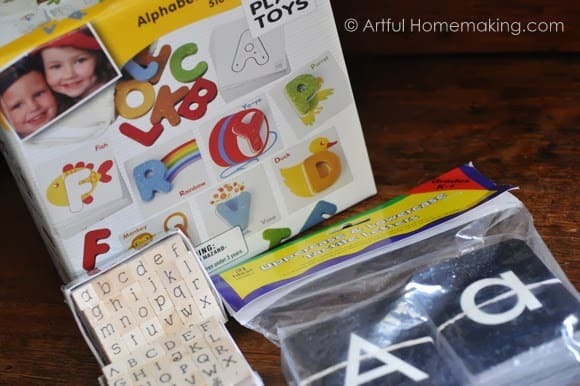 I also added some wooden letter stamps (I bought mine at Walmart for a dollar each!). Edited to add: In the middle of the year we started using All About Reading, and we absolutely love it! 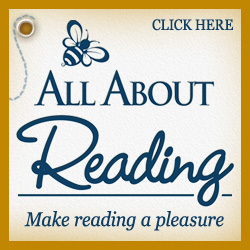 If you have a beginning or a struggling reader, I would recommend giving this a try. We also added some fun (and free!) 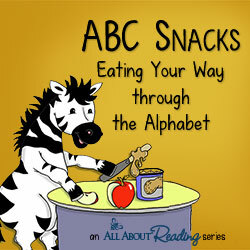 ABC snack lessons for our preschooler. 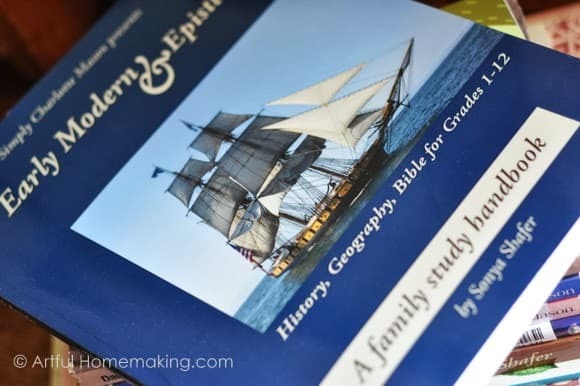 Sometime last year I purchased this great homeschool planner, and I love that it’s reuseable, so I don’t even need to look for another one this year! It’s a pdf document that you can edit and type in your information and then print it off and put in in a binder (that’s what I do with mine). It even includes forms for planning preschool days. I highly recommend it! I just found your blog and I’m considering doing Five in a Row for my 1st grader. I also have children in 10th, 6th, 4th, and a 3 year old and baby under 1. It’s been a few years since you posted this and I’m curious how your year went. Were you able to do Simply Charlotte Mason’s history lessons and Five in a row, plus everything else? What would you have Changed or did you change? I’m intrigued with the SCM history after reading your post. 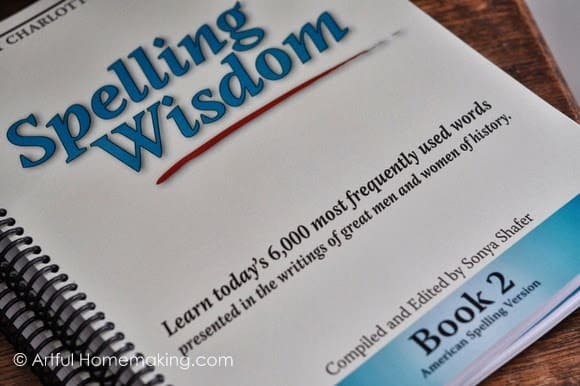 I love All About Reading and Spelling Wisdom. We loved BFIAR! The books are wonderful. I mostly just read the suggested books and then did a few other activities that went with the stories. I ended up not using the BFIAR manual at all. 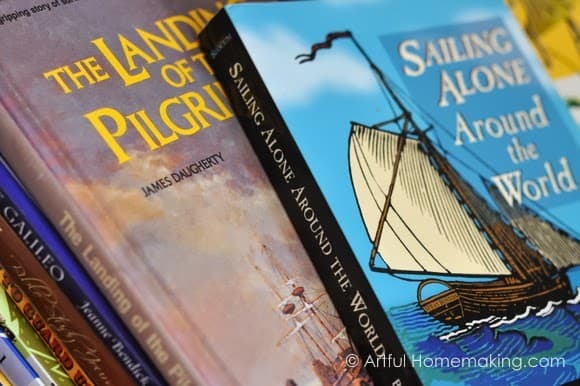 🙂 I have very happy memories of using this program with my youngest, and his older siblings often joined us because the stories are timeless and we included fun activities. We used and loved SCM history for a couple of years. SCM history is a very simple-to-use program. I found it to be very low-stress, and we enjoyed the recommended books. This year we’re planning to use Tapestry of Grace Year 2. It's going to be a wonderful school year for you! I really like the things offered at Simply Charlotte Mason, and I'm a huge fan of BFIAR and FIAR. Enjoy! Thanks so much for sharing that, Kyle! That's a good idea to start off with just a few books and see if you like them. I think I may do that, too. Blessings, and I hope you have a great year! I love everyone using the same history. That is great. What nice resources you have found. We just started using SCM's module 6 – the one after yours. I'm sooooo loving it! My girls are too! I really like how geography is included. How fun! 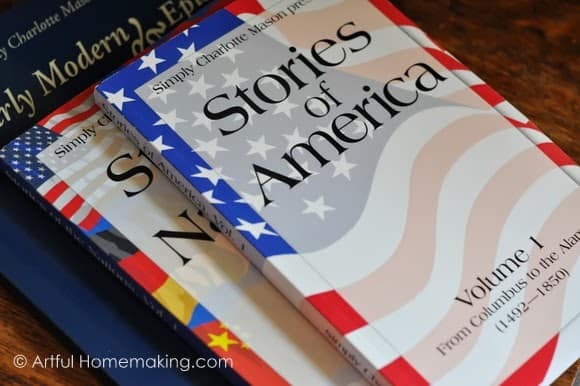 I really love SCM's guides, too, and especially how geography is included! Glad to see Teaching Textbooks on your list. I plan to use it for my kid for math 7 and pre-algebra. However, I heard that it's lacking a bit for Algebra 2, so will use another curriculum for Algebra 1/2. Yes, we really love Teaching Textbooks! This is our second year using it. I love reading homeschool plans!! 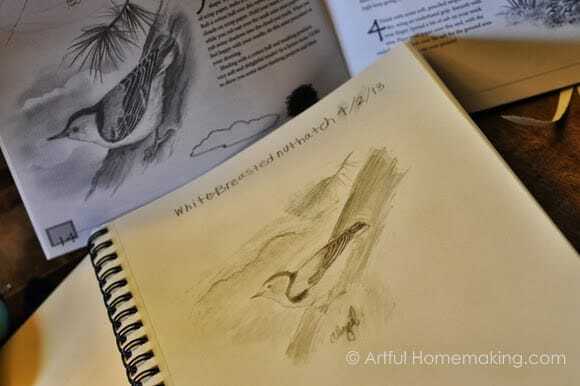 🙂 It's neat to see what other homeschooling families are doing. I have been looking for a good handwriting book for my 2nd grader and I really like what I am seeing with the Print to Cursive Proverbs book. It may just be the thing I was looking for! I'm right in the midst of finalizing our plans and getting all my ducks in a row. I'm also going to take a look at the planner you mentioned. Every year I search for THE planner, but I have yet to find one I truly love. This may be the year! 🙂 Thank you so much for taking the time to share this post! I always enjoy seeing what others are using, too! I'm so glad if this was helpful to you, Angela! 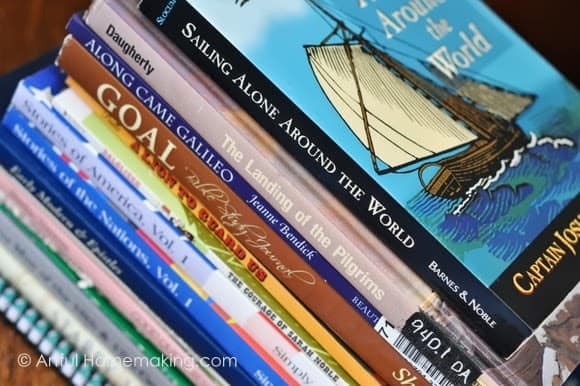 We love Teaching Textbooks~we used it for about 3 years and it has helped all my kids! Thanks for sharing. I am looking at the SCM stuff you shared now! Looks like a good year! Thanks so much for sharing Joy! I always love seeing what othes are using. We are using the chilren's version of the Peter Marshall series for history, but the books will only take a few months to do. I wasn't sure what to use in addition so you gave me several ideas! 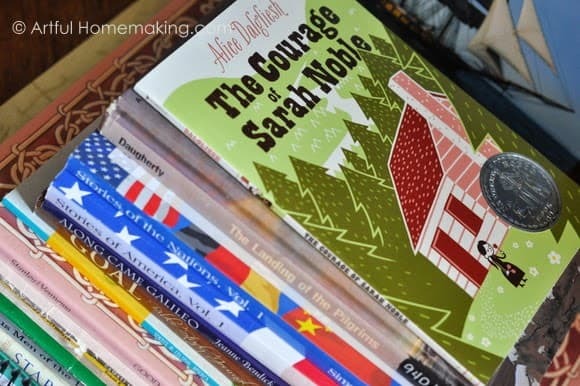 God bless your new year of homeschool! Thanks so much for leaving a comment, Kristin! I'm glad if it was helpful!